It has been almost an entire year since parties to the UNFCCC gathered in the home of fine fromage and disastrous climate deals. The 31-page Paris Agreement came into existence through its adoption on December 12th, 2015 and its birth was met with thunderous applause and tears of joy from rich countries and the French Presidency of COP21. On the frontlines of climate change and amongst the groups that fought for justice, there were tears as well. Miserable tears for the feeble Agreement that was being hailed as the save-all solution. Wretched tears for the genocide of people and the planet that has just been gavelled through. Indignant tears running down faces that swore to return and make governments keep their almost empty promises. “Water for Sustainable Growth” — What are we talking about here? “We need a circular economy,” a different model, one that defies the structures that our lawmakers are accustomed to. To achieve water security and sanitation, we need a model that will create self supporting systems, an economy based not on linear growth, but on natural cycles like that of water. This was the resounding message at the finale of World Water Week, spoken by Pablo Bereciartua, Argentina’s Undersecretary for Water Resources, and Torkil Jonch Clauser, of the Stockholm International Water Institute (SIWI) who hosted the event. Why do I [want to] work for climate justice? When I ask myself this, I am met with more questions than answers. Where does positive change actually come from, and who decides what that looks like? What does it mean to engage in an international space like the United Nations as compared to working at home? 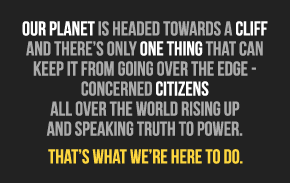 Where does the movement for climate justice begin and end? How does someone like me fit in all of this? It’s easy to find a linear narrative of struggle and hope to latch onto, but much harder to face these nuances and complexities, to challenge even the narratives that we lean on as activists. For all the dispiriting truths I know about the world, inside of me I still carry impulses of hopeful naiveté: that there are no bad intentions but misguided ones, that things are being constantly improved, that there are always saviours somewhere, that all problems find their cures. These intuitions, engraved in me through innocence and illusion, come and go, but never have they encountered such a direct challenge than during the two weeks I spent at the Paris climate talks. Over the past weeks, I’ve struggled to make sense of the fallout of Paris. Beyond the assured opinion pieces and the neat narratives, lies an unsettled confusion about what we should understand, and what we should do next. There is much to parse about the accord itself, and confident conclusions, encased in tidy turns of phrase, seem elusive. But below are a few stories and fragments that inadequately attempt to look back at what was decided, and what may lie ahead. To be in a room for seven whole hours is arduous in itself. However, for that room to be one filled with painfully complacent idiots, the overpowering smell of corporate power, and sickeningly thundering applause? Well, that can only be described as torturous. Feelings along the lines of delirious levels of fury, profound misery and a fairly good amount of second-hand embarrassment for those in the room were inevitable and rampant.